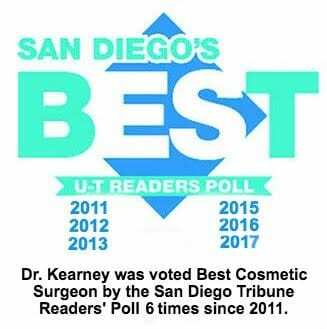 At Dr. Kearney’s, we’re all about looking and feeling great. Toward that end, we offer a Vitamin Bar with various formulations that will provide energy, a mental boost, stress reduction, PMS relief, and quicker recovery from illness. In the body vitamin B12 is a key to boosting your metabolism. We offer this B12 injection to increase your energy, rev up your metabolism, elevate your mood, and support weight loss. Vitamin B12 also improves your heart health. The Busy Body keeps you going through your busy life. Vitamins B1, B2, B3, B5, B6, B12, MIC (Methionine, Inositol, Choline), Vitamin C, and Glutathione. This blend helps slow the aging processes; and works to prevent heart disease, cancer, and dementia. The secret ingredient here is Glutathione, the most important of the body’s antioxidants. Vitamins B1, B2, B3, B5, B6, B12, and MIC. This blend provides energy for a pre-workout boost, and it supports healthy weight loss and the reduction of cholesterol. Vitamins B1, B2, B3, B5, B6, B12, and C. This blend will help you fend off colds or hastens your recovery. It also helps your body beat the flu and upper respiratory infections. Vitamins B1, B2, B3, B5, B6, B12, and Magnesium. This blend helps reduce stress, blood pressure, and depression. It helps you relax and elevate your moods. Vitamins B1, B2, B3, B5, B6, B12, MIC, and Vitamin C. This hangover-fighting blend helps shave some of the hair off that dog! Vitamins B1, B2, B3, B5, B6, and B12. Vitamin B Complex is needed for the proper function of just about every process in the body. It helps with these areas: energy production; nervous system health; healthy skin, hair, and nails; digestion. Methionine, Inositol, Choline, and Vitamin B12. This blend is heavy on MIC to boost your energy, facilitate weight loss, and aide in the conversion of food into energy and the breakdown of dietary fat. Step up to the Vitamin Bar at Dr. Kearney’s. Call us at 858-677-9352 for an appointment or just stop by. We offer discounts with multiple Vitamin Bar injections.